Lower the seat height on the Yamaha XSR900 using this rear suspension lowering kit. By installing this kit the rear suspension is lowered and the seat height reduced by 20mm (0.8" inch). When installing this kit the front forks are also lowered by adjustment of the front fork legs upwards in the triple clamps. This lowering kit is an excellent aftermarket accessory for the XSR900 which enables shorter riders to better reach the ground. This kit offer maximum possilbe lowering for the Yamaha XSR 900 by replacement of suspension tie-rods in the rear suspension linkage. If you find your Yamaha XSR-900 to high and struggle in traffic lights and every time you come to a stop because of the high seat height of your XSR-900 this kit will resolve your problem. When this kit is installed the front forks are also lowered by adjusting the fork legs upwards in the triple clamps. 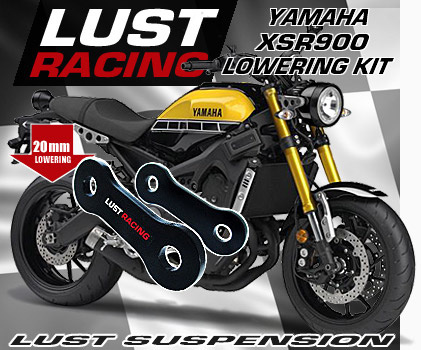 Seat height and ride height lowering kit for Yamaha XSR900 by Lust Racing. The kit includes new steel suspension links that replace the stock suspension links on your Yamaha XSR 900. New, young and short riders find that the lowered bike is easier to handle. Lowering the bike spurs confidence and reduces riding errors as a result. By fitting a lowering kit for your Yamaha XSR-900 you no longer need to tip-toe in traffic lights. 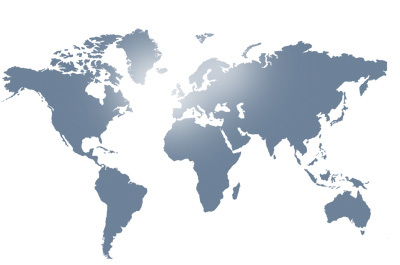 We provide a 14-day return right for all our products (terms apply). Lust Racing is customer oriented, should you against all odds be unsatisfied with our products or the service provided, please contact us. We are always willing to resolve any issue.